Although smoking is heavily related to your lungs, a strong and healthy respiratory system is essential to cardiovascular health. Smoking not only affects you and your heart health directly, but also the health of those around you through second-hand smoke. It increases the risk of coronary heart disease, and reduces your abilities for physical activity. We know quitting can be a major task, so check out these tips for help! There's no better way to maintain good heart health than keeping physical activity in your routine. Physical activity reduces the risk of heart disease, and improves well-being over all. You feel better, and look better! Anything from walking to dancing, or boxing can keep your heart functioning optimally. Just 30 minutes a day is all you need! Check out these American Heart Association Guidelines for Physical Activity and tips for getting started. In moderation, alcohol consumption may provide a boost to your heart health. Keep in mind, the science is inconclusive, and daily consumption should not exceed 2 drinks, but if you prefer to enjoy a nice glass of wine or a beer after work, it could add a little extra boost to your cardiac wellness. Of course the foods we love the most, and think taste the best are those with vegatable oil and high trans fat content. No, you don't have to completely remove them from your diet. 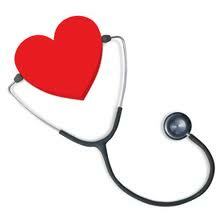 However, monitoring your intake, and keeping everything in moderation will bode well for heart health. The American Heart Association has put together some Facts on Fat to help guide your way into a tasty diet, easy on your heart. This one goes right in line with monitoring fats and physical activity. We all have different body sizes and shapes, so finding the optimal weight for yourself is important. We can't all use the same rubric for diets and exercise. But carefully watching what we eat, how, when, and even why are critical in maintaining a healthy heart and life. Watching your weight can be difficult initially, but with some dedication it will get easier. For help on the best weight management plan for you, click here! The Bibbins-Domingo study, conducted a year ago found a strong relationship between heart health and a small reduction in salt intake. This is true for all people, but especially important for blacks, women and older adults with heart problems. One way to do this is cutting down on your processed foods. According to the article, even a small reduction in salt intake (3g, about half a teaspoon) would be enough to make a difference. At first glance, stress management may appear to have little to do with heart health, but it's major! Stress is directly related to blood pressure levels, and must be controlled as much as possible. Problems with stress can affect us physically and emotionally, often in ways we cannot clearly see. Developing healthy habits, like the ones above plus more will help you ensure optimal stress levels. As the AHA suggests, remember to laugh! It's cardio and is definitely the best medicine. You'll be happier inside and out. *Ladies, you must be especially careful. Women experience heart disease much differently than men do. Fatigue is a common symptom of heart disease, contrary to the typical chest pain we often see with men. Make cardio exams a priority! While not a primary suspect, good oral health, combined with other healthy behaviors can contribute to your keeping your ticker ticking. Make sure to brush your teeth at least twice a day, floss, replace your toothbrush every three months, and get regualr checkups. This should keep the bacteria on your teeth to a minimum and keep it out of your bloodstream, where it could possibly contribute to artery clogs. We hope these tips are helpful to you and loving your heart like you should. For more info, go to the American Heart Association's homepage!